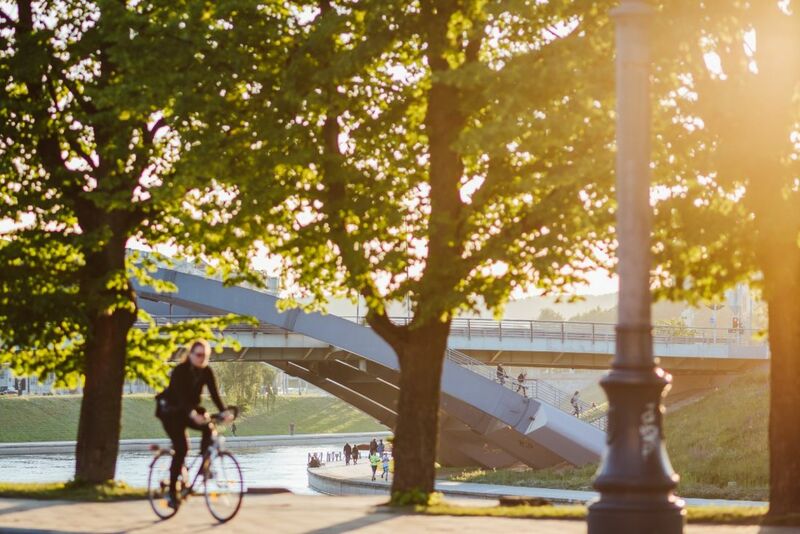 Vilnius is a great city for cyclists. No matter where you are, you can escape the bustle of the city and find yourself surrounded by nature in under half an hour. You can pretty much bike through the entire city on convenient paths engulfed in greenery without ever having to deal with busy streets. You’ll see for yourself if you set out to pedal from Cathedral Square to Europos Parkas (23 km). 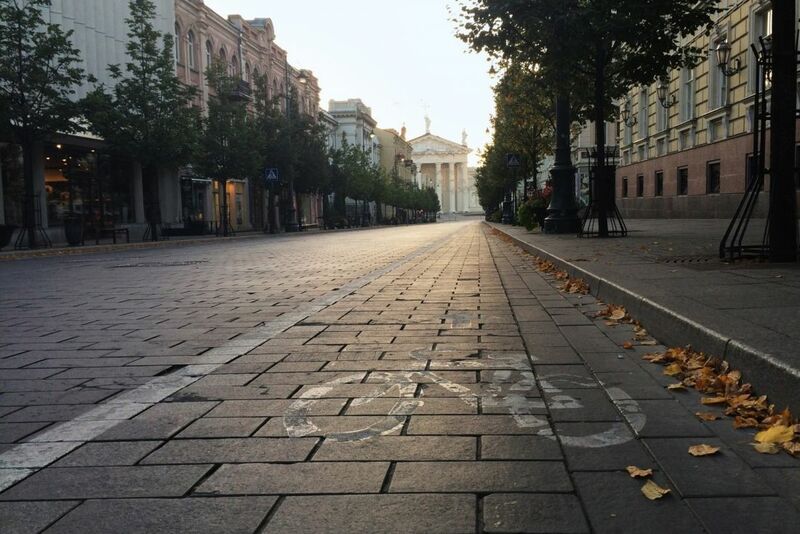 Exploring the Old Town of Vilnius on a bike is convenient and fun. You’ll see more than you would on foot or in a car, and you’ll get some exercise while you’re at it! 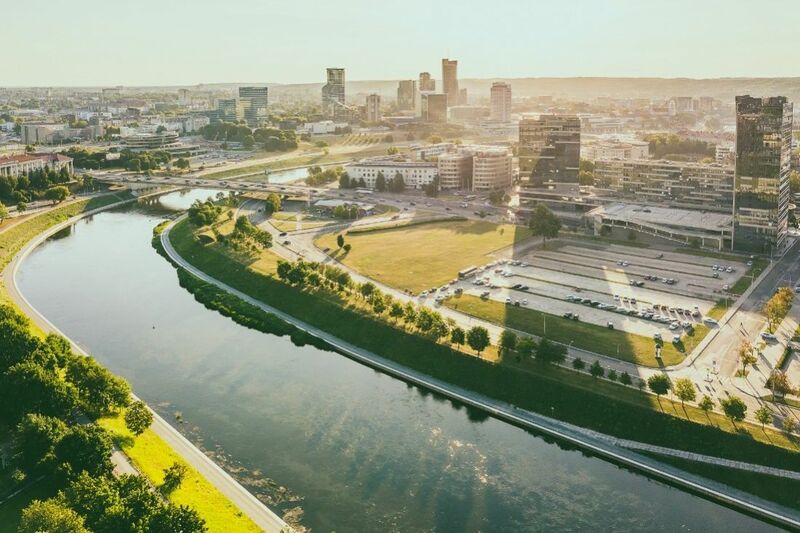 The Vilnius Old Town is one of the largest and most beautiful old towns in Central and Eastern Europe. It is full of architectural and cultural monuments, museums and galleries. This means that exploring it will take some time, because every few metres you’ll find something interesting that deserves a closer look. If you plan on stopping for a bite to eat or visiting museums, churches or other places of interest while you ride, make sure you leave your personal or rental bike in a secure place. 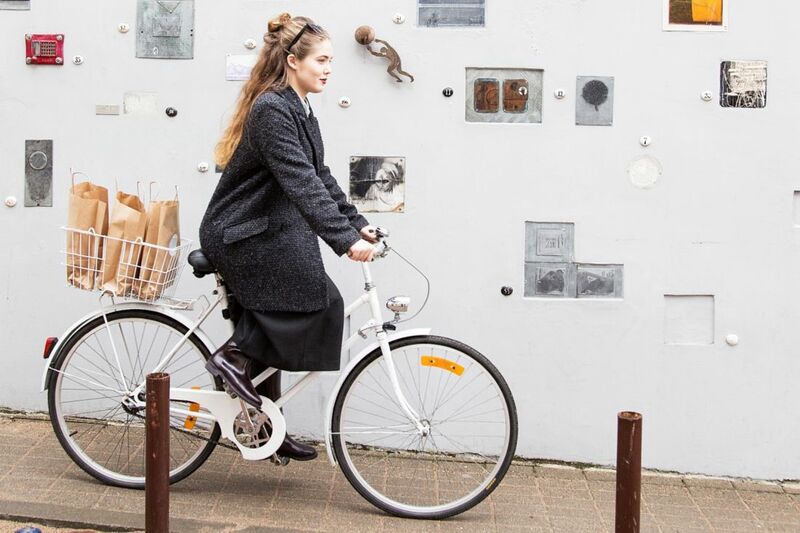 The Cyclocity bicycle-sharing system is a very convenient way to travel. 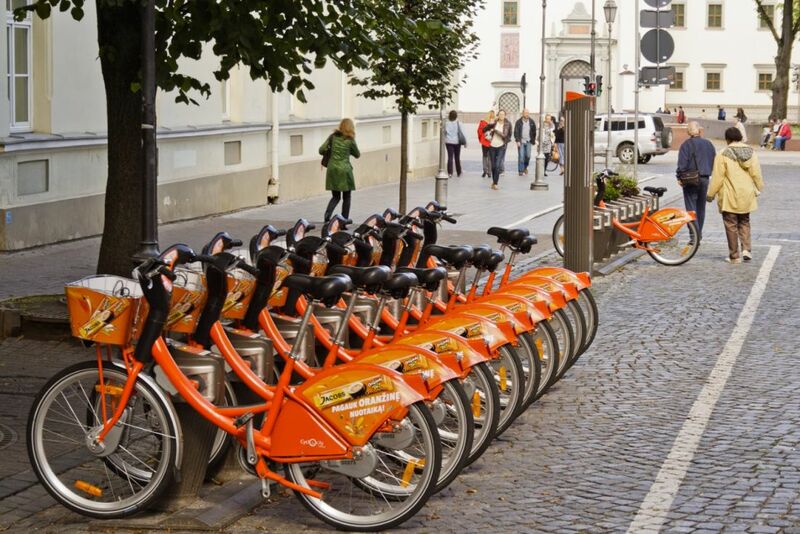 You can pick up and return your bike at more than 20 docks throughout the city.